I like wine on occasion, I’m on The Bachelor, and I pretty much only wear yoga pants. It’s a generalization, yes, but I think it’s safe to say a lot of bachelor fans can be found lounging in yoga pants on Monday night with a glass of wine in their hand. It all goes together as well as Tina Fey and Amy Poehler. I saw this amazing top by Organic Wine Lounge a couple of months ago on Instagram. When I went to their website, I saw that not only do they understand The Bachelor demographic well, but they also LOVE DOGGIES like me! 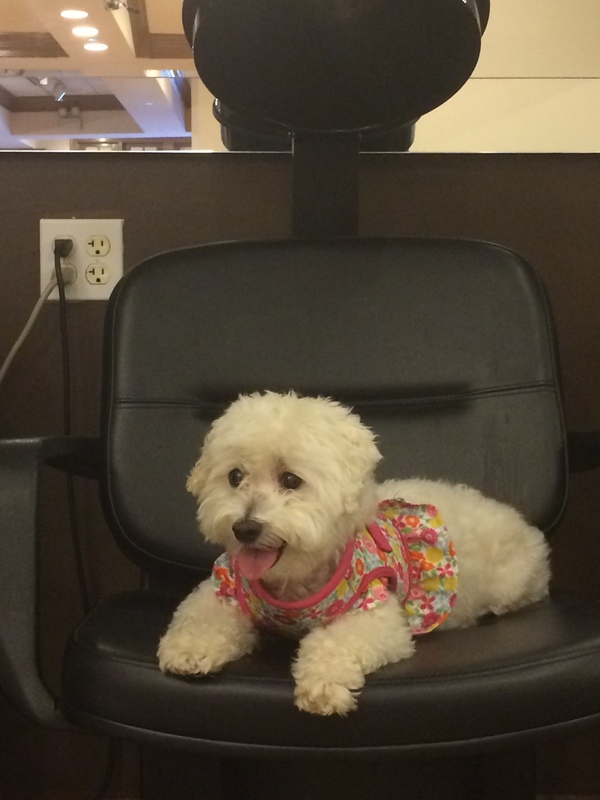 My baby, Lucy, goes to the human hair salon. She’s high maintenance too. Organic Wine Lounge and some of us Bachelorettes have joined forces to help the dogs. We are also helping you Bach fans score a deal. 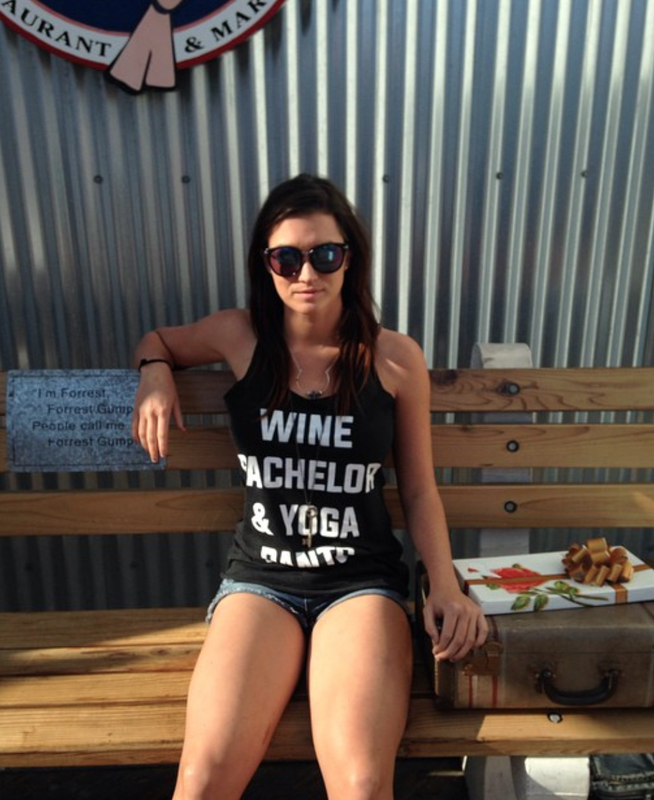 Buy the “Wine, Bachelor, Yoga Pants” shirt HERE and use the discount code: BACHELOR and you’ll get 10% off the shirt. For me, the most exciting part is that 10% of all profits go to animal rescues and shelters. Here’s to finding love and saving doggies! Cheers! The sweet and stunning Jade Roper. Miss Trina Scherenberg looking pretty in the top.